26 Sushi & Tapas offers an extensive menu of kosher Japanese and Peruvian tastes in a modern, minimalist setting in the heart of Surfside. Situated on an idyllic section of Harding Avenue, 26 Sushi & Tapas has been garnering attention from food fanatics and diners all over town for its delicious dishes and sleek atmosphere. Open for lunch and dinner, the menu at 26 Sushi & Tapas highlights hot and cold tapas, sushi rolls, and larger dishes. The tapas section includes Peruvian classics such as ceviche, tostones, and tiraditos. For those with a taste for Japanese food, specialties include a seaweed salad, edamame and miso soup. Perhaps the most exciting part of the menu is the maki rolls – which are all kosher. Diners can select from sushi classics such as spicy tuna and salmon tempura or try some of the Peruvian Japanese fusion with the Acevichado roll – corvina, sweet potato, lettuce and leche de tigre. The restaurant starts a new era under Joel Lindenfeld, who reflects his multicultural and travel-loving background in the creative kitchen executions. For example, the humble arepa is topped with corvina and capers, offering guests a more elevated dining experience. Recently, it was ranked the number one restaurant in Surfside by Trip Advisor and the best sushi restaurant in Miami by Dining Out Miami. 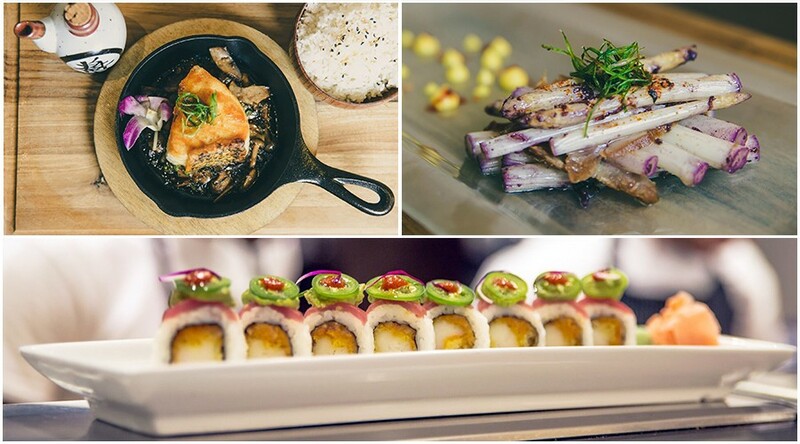 Visit 26 Sushi and Tapas on your next trip to Surfside and experience this culinary gem! Click here for more infomration on 26 Sushi & Tapas.